Best Free Email Extractor: Are you searching for a free email extractor software better than Email Extractor 1.6 Lite, which extracts all the emails from any blog or website? Then you are in the perfect place. Today, I am going to share you about how can you download free email extractor software. The software is 100% safe and secure to download and use. Click on the above link to download the software. Extract the zip file using any file extractor. Now double click on the application file and it will start installing the software. Now select install location and press continue. After successfully installing the software run it. You can add multiple URLs separating them by a comma (,). Now click on the button as shown in the image below. And then click 'Add and Start Extracting Emails'. It will start extracting all the emails from the website. When you find enough emails for you from the particular website, press 'STOP' button to stop searching more emails from the website. 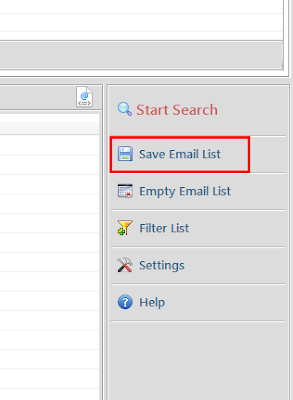 Then press the 'Save Email Lists' to download all emails in .txt or .csv format. You have to choose whether you have to download in .txt or .csv format. This is how you can extract emails from any website. 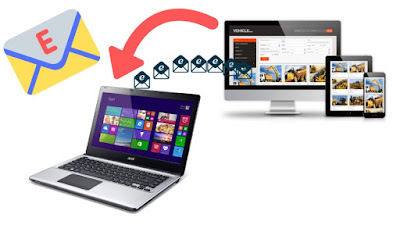 This is the fast and easiest method to extract emails from any particular website. 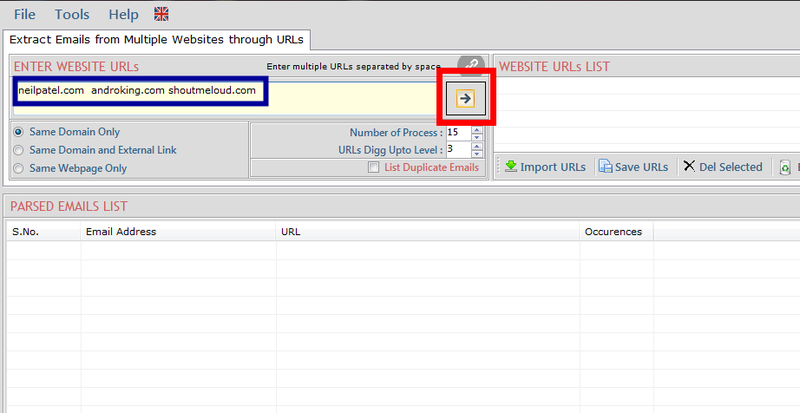 Even you can add multiple websites at once and extract all the emails from all websites in a single click. What is Emai Extractor 1.6 Lite? Email Extractor 1.6 Lite is a paid software by which you can extract emails. But the software will cost you money to extract emails. You can download the best free alternative of Email Extractor Lite 1.6, which can extract all the emails from any site's database for free. Why this Free Email Extractor Software is better than Email Extractor 1.6 Lite? The software I have provided you is free to use and always will be. You do not need to pay extra money to extract emails. You can extract as many emails as you can extract from any website database. There is another alternate method of extraction of emails from a targeted URL. But the method is slightly more time consuming than the above method I have written about. If you find any difficulty or any issue extracting emails by the above method you can contact me or you can try this alternative method too. To do this, you need to follow these easy steps carefully. Open google, and type google.com. Now go to setting [It is present just below the search box or search bar, in the right side]. Change the Result Per Page to 100 [By default, it will be set into 10]. And press the Save button, which is present below the page. Now type this way - site:example.com "email.com". For example, I'm typing - site:neilpatel.com "gmail.com". And it will find me all the emails from the database of that website. There is the list of all email extensions, you can search in google. Make sure to type with only one email extension each time. Now press CTRL+A and CTRL+C. And copy the whole page (100 posts per page). Now go to email extractor: https://email-checker.net/email-extractor and paste the copied page from the google. Then click on extract emails. It will extract you all the emails from the copied webpage. Copy the extracted emails and save it on your computer. Note: You will need Chrome browser on your PC to perform this step. To extract emails from different websites, you just need a simple chrome extension which can extract emails and can save your emails automatically. To install the chrome extension (Free Email Extractor for Chrome) visit this website: email-extractor.io and download the Chrome extension [Name of the extension- Email Extractor (FREE)]. Then visit any website from where you want to extract emails, and then click on the extension (Free Email Extractor) you just installed in your chrome. The email extractor Chrome extension will provide you all the available emails from that web-page. How to Download and Use Free Email Extractor Software, What is Emai Extractor 1.6 Lite?, Best Free Email Extractor Extension. Hope the article 'Download Best Free Email Extractor Software' will help you. If you have any further problems, you can comment down below.